He’s watching, waiting… and counting. The next gripping seriel killer read in the DC ‘Charlie’ Stafford series, from the Bestselling author of MUMMY’S FAVOURITE. He keeps each floating in Formaldehyde to stop them from rotting. Each finger denotes a victim, tortured and butchered, their heart ripped out and discarded, replaced instead by symbols of their treachery. He sits alone admiring his trophies weekly; each and everyone of them guilty in his eyes. And now more must pay. DC ‘Charlie’ Stafford is already investigating a series of escalating racist attacks and it now seems she has a vicious serial killer on her patch. With no leads and time running out, the team at Lambeth are at near breaking point. Something has to give… and all the while he’s watching, waiting… and counting. 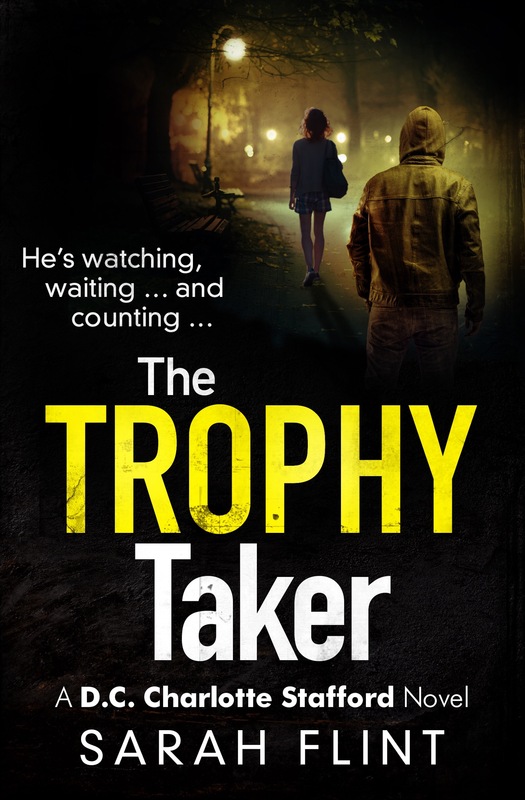 Welcome to my stop on the blog tour for The Trophy Taker. 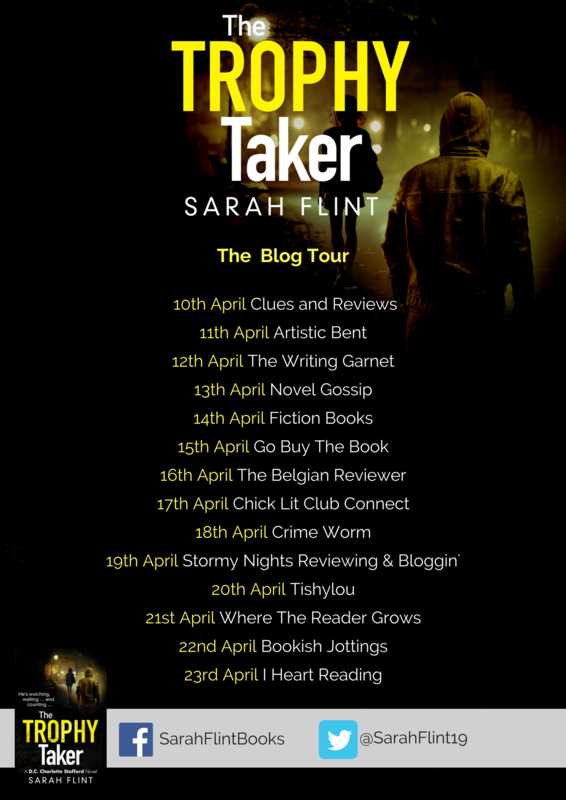 I have my review and an extract to share with you today. DC Charlie Stafford eyed the custody screen with satisfaction. A charge of GBH and robbery was a great result, especially after the four solid months of hard work she’d put into this case. It was also particularly good to see that the Crown Prosecution Service had agreed to her application for the offence charged to be shown as having been racially aggravated. It was a difficult offence to prove but it carried a greater sentence and it was what her unit, the Community Support Unit, was tasked to investigate. Led by Detective Inspector Geoffrey Hunter, or Hunter as he was better known, the CSU dealt with any cases involving domestic violence or offences targeting persons for their race, faith, sexual orientation or disability. The majority of their work related to domestic incidents, but in the last few years more and more victims of hate crimes were finding the strength to come forward. Taboos were being broken, victims becoming braver. 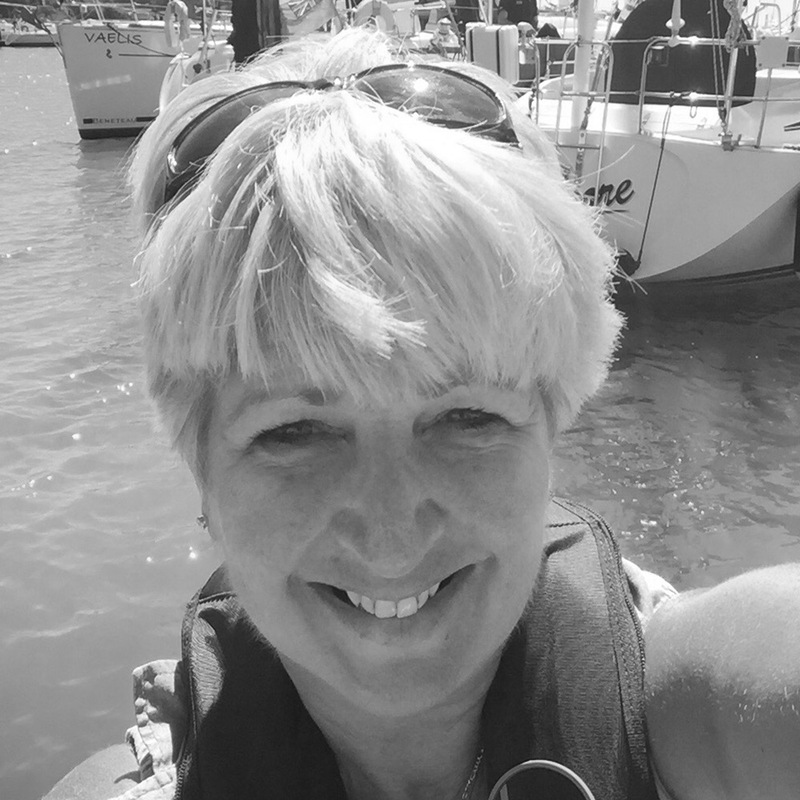 Charlie’s unit was therefore becoming increasingly busy, their caseload greater and more varied and their diligence, persistence and hard work noticed by the local Senior Management Team at Lambeth. After their recent success in dealing with a particularly disturbing series of murders, the reputation of their team, and in particular Charlie, was heightened to such an extent that members of the unit, sometimes all of them, were seconded to assist the Murder Investigation Teams. It hadn’t been easy though. The case in front of her now was as close to being a murder as was possible without the victim actually having died. For Charlie it had become almost a personal crusade to identify the perpetrator and get him incarcerated. She stood next to the suspect as the charge was read out. Cornell Miller sniffed, wiped the back of his hand across his face and looked towards the clock, making it obvious he didn’t care as the caution was read out. He was thirty-eight years old, solidly built, with over six feet of rippling muscle, having spent his last term of imprisonment working out in the prison gym. He pulled his T-shirt up so that his stomach was exposed, rock hard and toned, and scratched languidly at the light smattering of fair hair that covered his skin, winking towards Charlie as he did so. She ignored him, instead concentrating on the words of the custody sergeant. He had nothing to say, he never did, until the time came for his solicitor to ask for bail. This time though even his solicitor’s plea was lacklustre. There was no way Cornell Miller would be walking the streets for a good few years if Charlie had anything to do with it. He was scum. Pure unequivocal racist scum and the public, particularly those in the black and Asian communities needed to be protected from him. The case had initially been assigned to her office because of the racist element to it. Her boss, Hunter, had given it to her to investigate and tonight was the culmination of all her work. She eyed Miller as he scratched his belly again, thinking about what he had done. She had thought of little else, since reading the details the first time. It had been 5.15 a.m. when he had struck. 5.15 a.m., when there was hardly a soul on the streets to hear his victim’s screams; when there was no one to witness the excessive, unnecessary violence meted out on an unassuming, hard-working Jamaican man, nearing the end of an extended career spent coaching kids to play football. Moses Sinkler had been nipping to the local cashpoint to get twenty quid to give to the missus for some groceries when Cornell Miller had spotted him. Miller was coming down from a crack-cocaine high and needed some more cash to score some heroin before he went to bed, or else he’d never sleep – and he hadn’t slept for days. He’d selected the venue well. It was the perfect place for a quick hit. A quiet backstreet with a remote cash machine, tucked into the rear approach to the local train station, still silent before the first train of the day at half five. He’d waited for the old Jamaican to withdraw his money; waited and watched and hoped that it would be a decent haul. Silently he’d taken a last draw of his cigarette, before grinding it into the ground and following Moses back across the road, stalking him like a predator, before he attacked. But it was the manner of the assault that had really upset Charlie. A scare would have been all that was needed. Moses Sinkler was not a fighter. At seventy-two, he was too old to exchange blows; he would have done what he was told, handed over the cash, capitulated in the face of a much larger, stronger opponent. Cornell Miller barely said a word; his Stanley knife did all his talking, slicing across Moses’ face, neck, shoulders and back, time and time again as the old man screamed out in agony. This is the second book in a series featuring Charlie Stafford but I jumped in with no problem at all. I warmed quickly to Charlie, she’s a good cop but she’s not jaded and disenchanted by her job, she’s still eager to find justice for victims of crime and she also has a fantastic sense of humor. The rest of the team she works with are also likable and there’s a genuine sense of family amongst them. Charlie is shuffling two cases at the same time, the first is a series of racially motivated attacks perpetrated by a real scumbag. When he manages to escape from prison, she’s bound and determined to ensure he gets back behind bars, and fast. The second is a series of murders where the killer removes the victims ring finger before brutally killing them. As Charlie struggles to find a connection between the victims, bodies keep popping up and she knows that it’s a race against the clock. Flint was a police officer for thirty five years and her knowledge is evident in her writing. It’s a standard police procedural and you can really tell it’s written by someone with firsthand experience. Sometimes in crime thrillers there are moments where things just don’t make sense and as an average citizen,even I can spot discrepancies. There was none of that here, everything seemed very genuine. It’s a dark, gritty, fast paced read and there were quite a few suspects to choose from making it all the more difficult for me to solve the puzzle, I definitely didn’t have things worked out. It was a solid read and one that would appeal to any crime fiction fans.